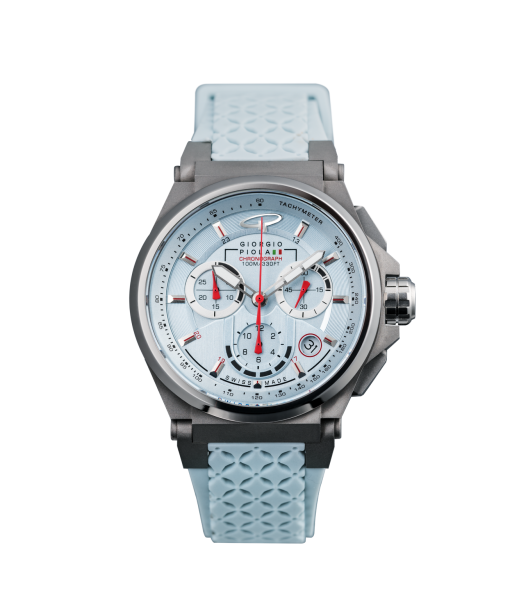 Giorgio Piola Strat 3 Ladies Chronograph. Available in 3 colors. $455 shipped. 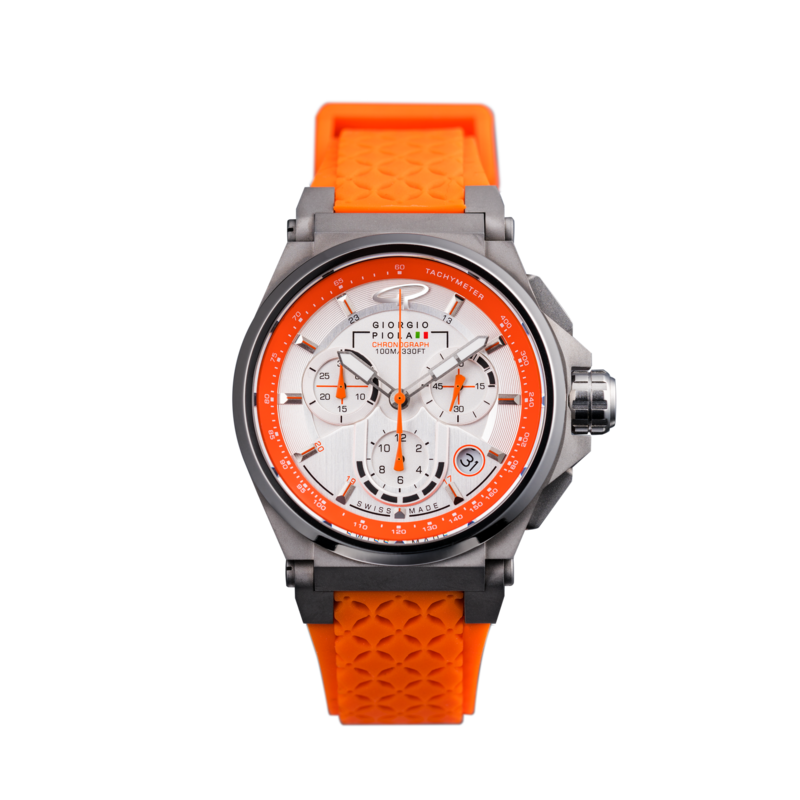 The Strat-3 orange chronograph watch display everything you need to know at a glance, protected by anti-reflective sapphire glass, a sandblasted titanium case and a durable, race-tire inspired blue rubber strap. 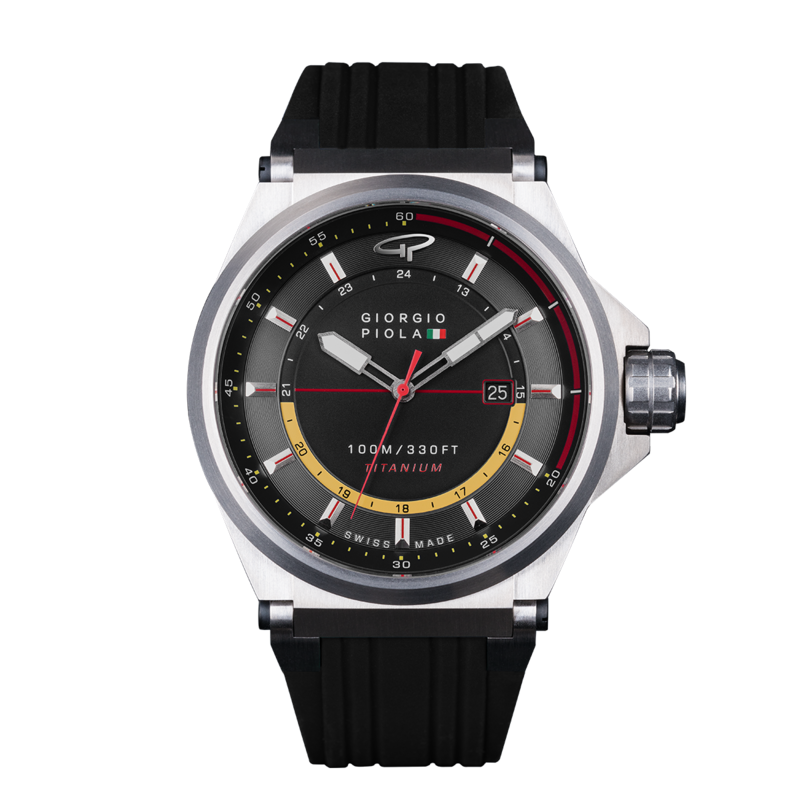 The sub-dials are a nod to F1 steering wheel design, conveniently displaying a date window, while allowing the wearer to time both lap and individual sector time with utmost accuracy. 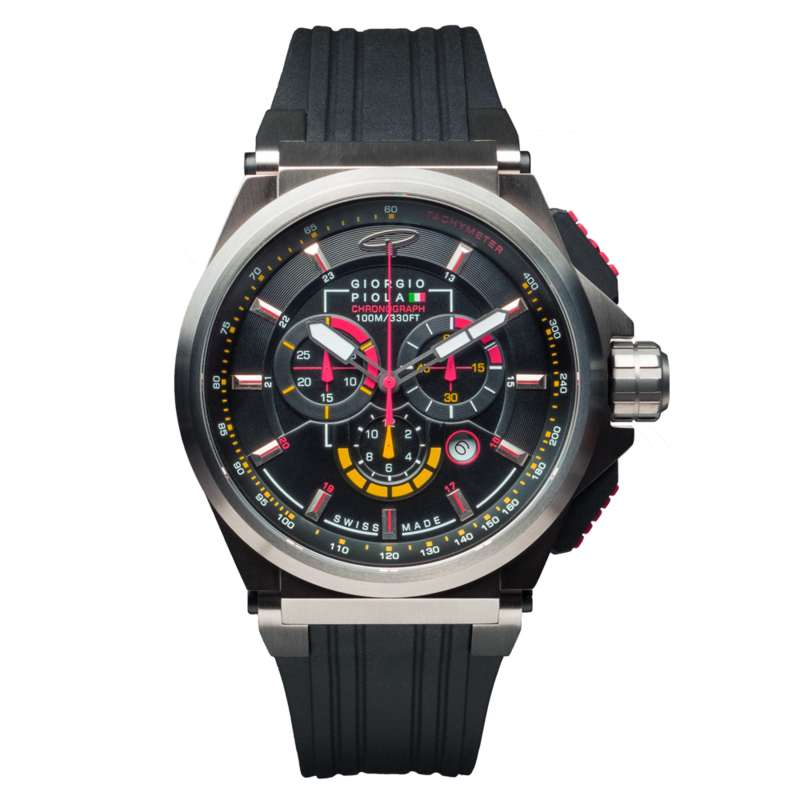 Traditional Sport Watch design. Available in 5 colors. $455 shipped via 2nd day air! 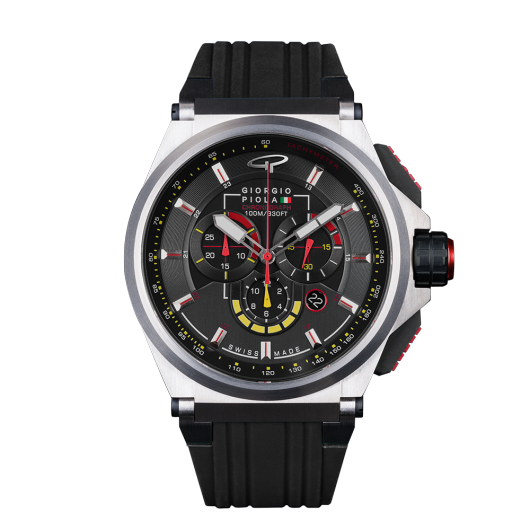 Strat 3 LTD Chronograph by Giorgio Piola. 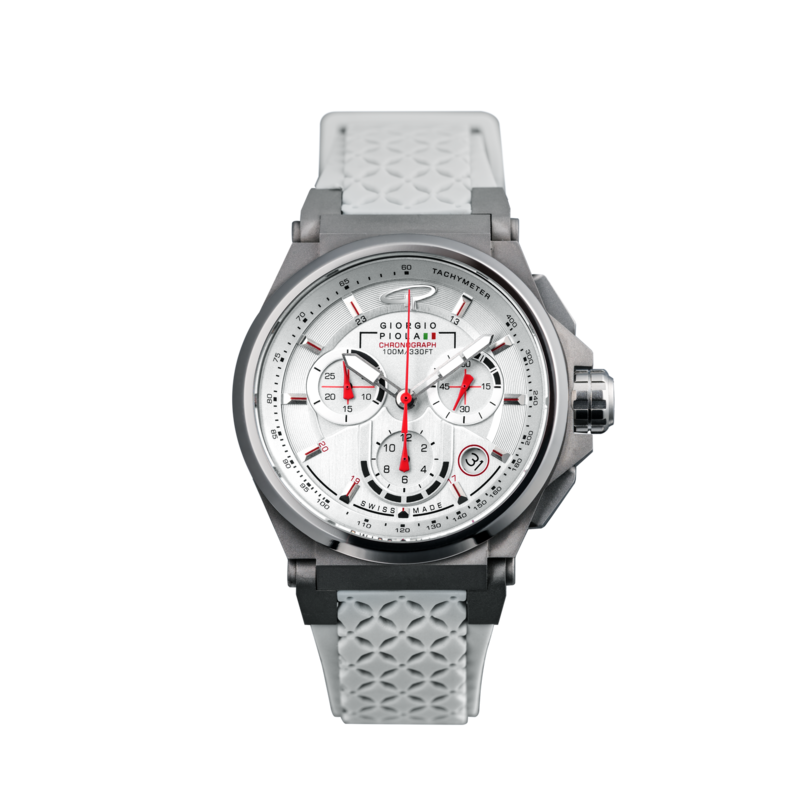 Limited to 125 pieces each. Free UPS ground shipping.